Every country has their sandwiches. Heck, every state has their sandwiches. I love sandwiches. I don’t just eat sandwiches, I rock sandwiches. 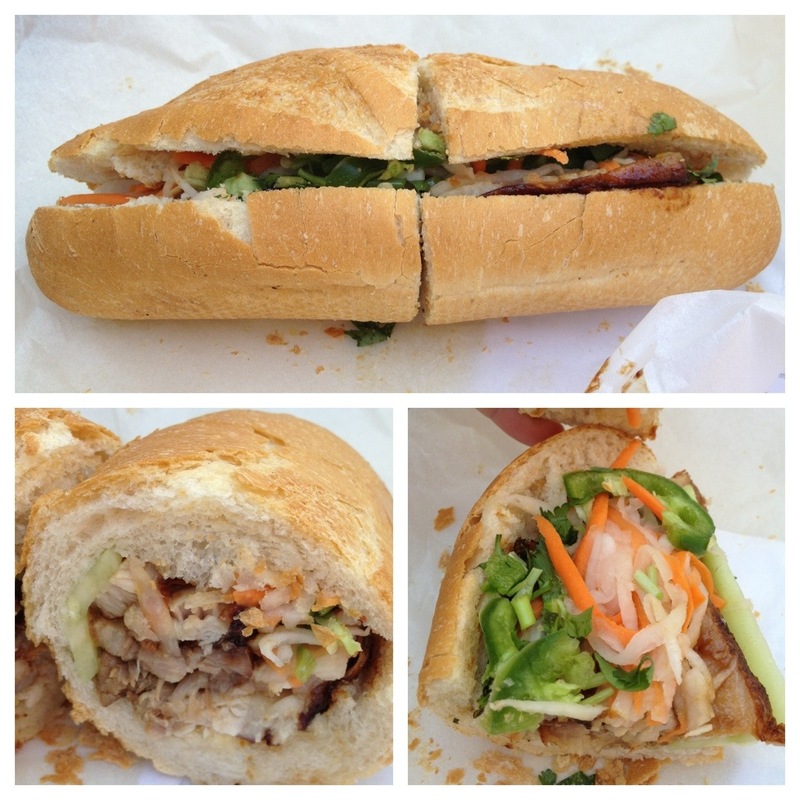 I just rocked a Vietnamese sandwich from a local place that seems to be experiencing some serious growth. They’re called Saigon Sisters and I’m planning to start eating my way through their sandwich catalog based on this experience. I know, bad name, but that didn’t deter me. It was braised pork belly, pho flavors, hoisin glaze, and mayo garnished with cucumber, pickled daikon/carrots, cilantro, and jalapeños. All this, served on a baguette-type roll called a Bánh_mì, for $8. I enjoyed it a lot. The pork was tender and juicy and the roll was crispy and very light. These pho flavors are kind of a mystery to me. They’re savory, it seems, and the hoisin glaze gives it some sweetness, so it’s quite a burst of flavor combos. Then throw in the spice from the jalapeños and the pickling notes and you have quite an explosion. Things were arranged kind of haphazardly in the roll so there was not a lot of uniformity in each bite, which I prefer. Some people don’t, so I’m just putting it out there. Don’t be shocked if you get to the end and you have a bite or two with no meat. I savored that because the bread and topping were so stellar. Next time I’m getting something a little spicier I think. The pork meatball with basil, scallion, ginger, and sriracha is next on my list. Oh yeah, I keep a list. I’ll be back. Posted in food on 2013/05/17 by John.